Traveling to the Caribbean & want to take your snorkeling trip to the next level? 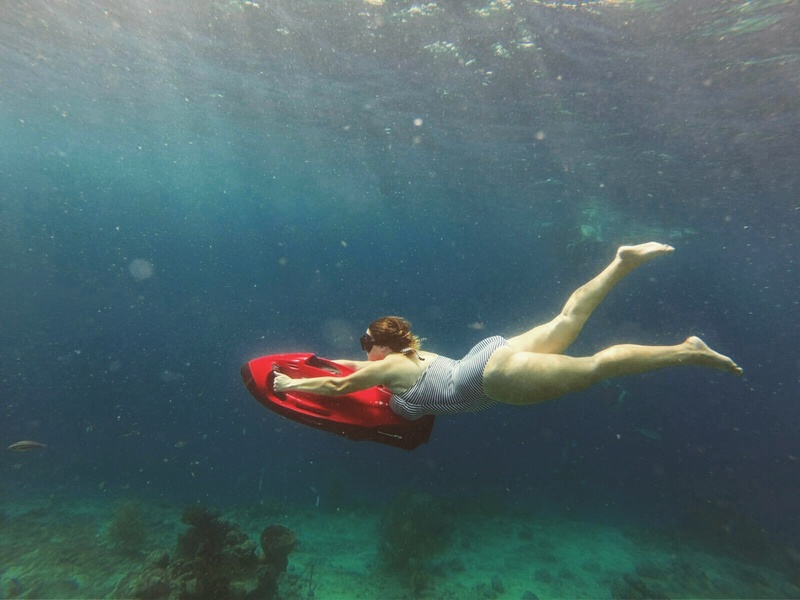 Go on a Seabob adventure! With your personal submarine you’ll dive into the ocean & discover it’s treasures. These eco-friendly underwater scooters are just so much fun! This weekend was all about having a good time. New experiences are a perfect way to do so! At Tugboat Beach we met with Andy Max from Seabob Curacao to go on this adventure. As mentioned before, a Seabob is basically a mini submarine. You hold on tight while you cruise through the water. Above the water you can easily reach 15 KM/H & when you dive under a good 11 KM/H. Talk about a fast dive! At Tugboat Beach we began our journey. It’s a popular snorkel & dive spot here on the island. And for a good reason! You may have guessed it: in its depths you can find the sunken tugboat. It is surrounded by creatures of the sea. So many fish! With the Seabob it was easy to get to the bottom real quick & to see all of this underwater world up close. Out of breath? Put the Seabob at maximum speed and speed out of the water! Felt like a dolphin going for an air jump. From the Tugboat we took our underwater tour towards the coral reefs. Gorgeous spots I hadn’t seen on the island yet! Between here and Director’s Bay you’ll see so many beautiful things. Colorful coral, fish & nothing else around you than the ocean itself. For safety reasons the Seabob’s are manually put on a maximum of 2.5 meters depth. But if you’re just as used to go into the water as us, you can easily let it be altered so you can dive deeper – just don’t forget to clear your ears! The tour takes about an hour. We had so much fun on this tour! It gives a whole new dimension to the underwater world, no diving experience needed. It’s fast, it’s fun & a new adventure which I would recommend for sure. They have a second tour as well, located at Playa Piscado. Here you can do the Seabob tour while swimming with sea turtles & seeing the Neptunus underwater statue. If you want to read more about these sea turtle spots on Curacao, check out my previous Sea Turtle Hotspots post. 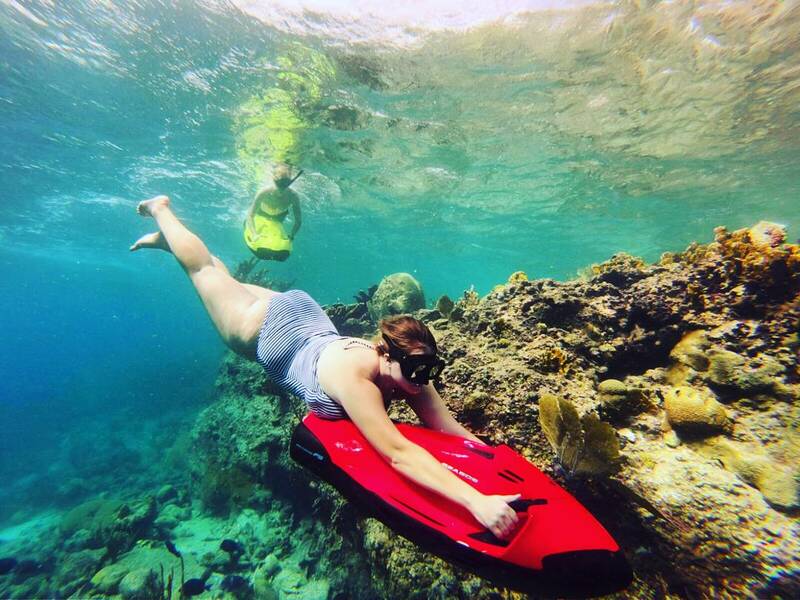 Big thanks to Seabob Curacao for this cool underwater adventure! Oh you should! It’s such a new way of discovering the underwater world! You’ve got an amazing job btw. Thank you for taking the time to read this article! Now this is cool! I’ve never heard of it but I’m sure it’s a blast for adventurers. You caught some awesome shots and it looks like you all had so much fun. Thanks for sharing! It’s so much fun indeed. Thank you for taking the time to give this a read! This kind of water diving craft is also new to me. I have not heard about it before. Looks like a total blast and allows you to see more underwater sights including all kinds of fish than simple snorkeling would do. Anywhere in the Caribbean is beautiful! A total blast it is – had so much fun during this tour. & I couldn’t agree more – Caribbean is one o the most colorful places on the earth! It sure was! 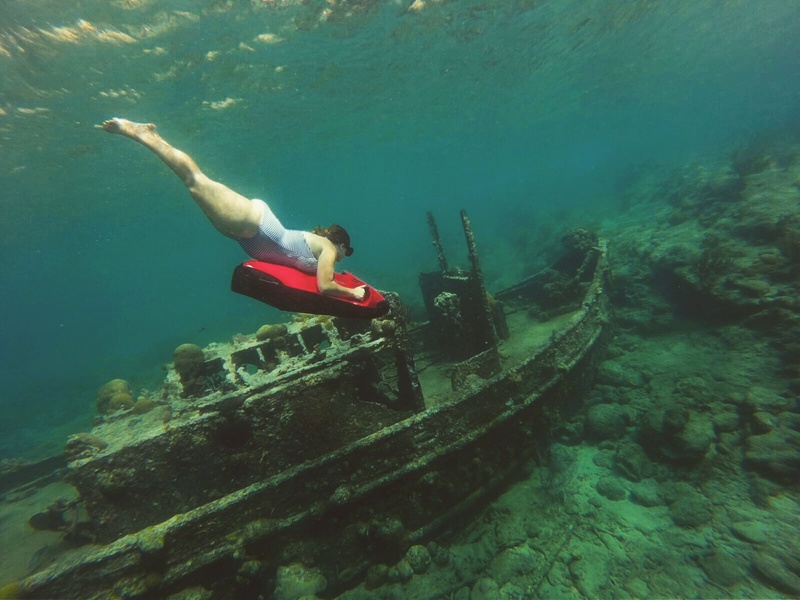 & the Seabobs allow you to go so much deeper than regular snorkeling, you see so much more. Thank you for taking the time of giving this a read! 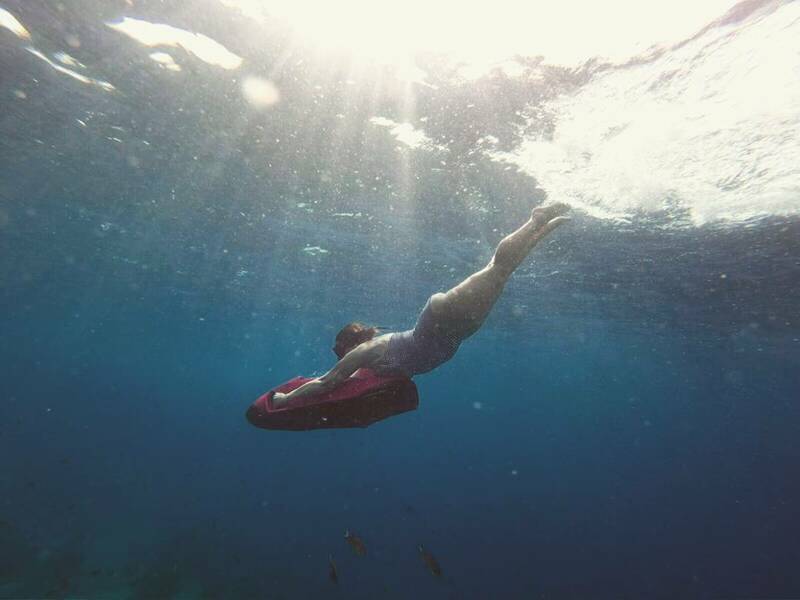 Those little mini submarine Seabob looks really fun adventure to do in Caribbean underwater! I never been scuba diving before and for me this would be perfect to have underwater tour! I’ve never heard of these! Looks like so much fun 😀 The Caribbean is so beautiful! It was extremely fun! Totally agree, the Caribbean is one of the most colorful, beautiful places I’ve visited so far! the Seabob adventure looks fantastic and the fact that you can swim quicker and dive deeper with it is quite enticing. I would love to do this when I visit the Caribbean! Oh you should! We went up every time we were out of breath. You just guide the Seabob to go up and it will sprint you out of the water. A oxygen tube is used by hookah diving! Wow . It’s breathtaking pictures and fun. I never see this before. I also want to try this adventure but I am not very much comfortable with water. 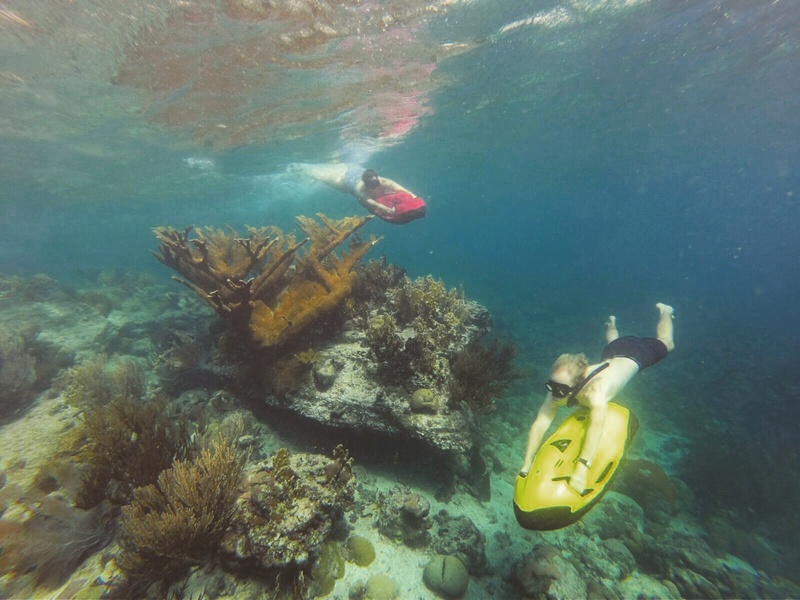 But this Seabobs seems great thing.I will surely visit the Caribbean not just because it is one of the most colorful, beautiful places but to try seabob adventure to one day. That’s so lovely! And true, even if you’re not as a fish in the water this experience is easy going and a good way of discovering the underwater world! Thank you! Credit for the pictures goes to our tour guide Andy – he did an amazing job indeed in capturing this fun tour! I’ve never seen one of these before?!? I’m not the world’s biggest fan of water but I’d love to give something like this a go. The fact that you can go above and underwater is just an added bonus. Although I haven’t been to the Caribbean yet, riding a Seabob will be high on my list when I do finally go! I am scared of the water and have never tried anything of this sort before. But this is simply mindblowing. Love all your pictures!!! No reason to be afraid! You can go your own depths, so only go as low as what is comfortable for you. Thank you so much! It is such a great experience, so new and fun! It does sound like such a fun adventure under the sea. Would definitely help to get to lower depths when snorkeling. It looks so beautiful under the water. That’s so true – never was I able to go really low during snorkeling. But with a Seabob you see so much more!